CPI’s Beverly Microwave Division presents VSL3606 GaN solid state power amplifiers (SSPAs) operating in the L-band (1.2 – 1.4 GHz). These high efficiency, high power, compact amplifiers are highly efficient, easy to maintain, and are designed for use in long range search applications. The VSL3606 SSPAs feature air cooled GaN transistors that are combined into 700 W bricks, which are power-combined using radial combiners and waveguide combiners. The GaN transistors provide high gain, high efficiency, and excellent pulse. The design is optimized for search and air traffic control radars, equipped with an automatic level control feature that can be programmed for multiple modes. 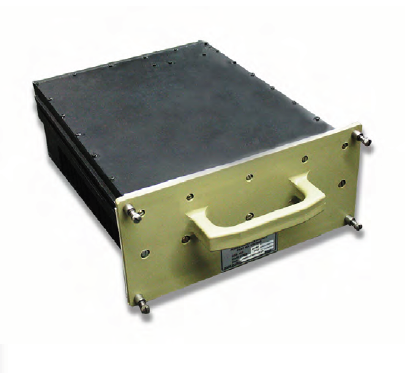 Download the datasheet for more information regarding the L-band GaN SSPAs.